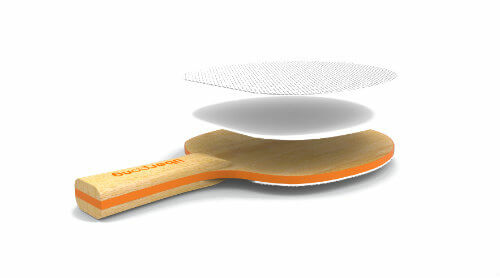 The Uberpong™ blade is the ultimate recreational ping pong paddle. Our blades are assembled entirely in the USA. 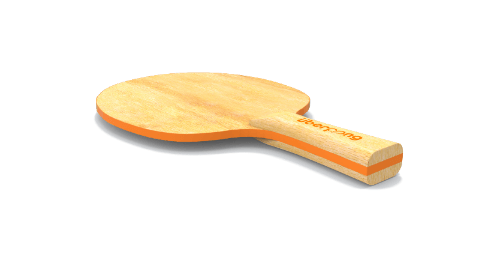 Uberpong™ designer and custom paddles are printed utilizing high-quality ink while our orange edgebanding is unique to Uberpong™, creating a striking style while ensuring the beautiful designs remain the key aesthetic focus. The result is a perfect combination of grip, shock absorbency, thickness and weight for recreational or non-competitive play. We use a pimpled (pips out) sponge back rubber for good all around control. For complete customization you can also order a bare blade!